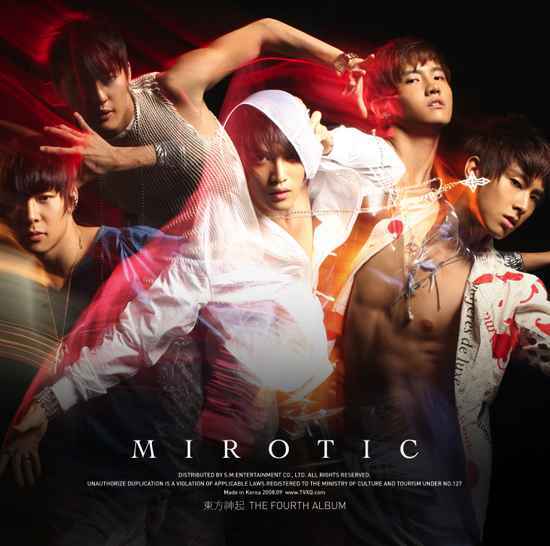 Many of you know already that DBSK / TVXQ’s Mirotic was being censored by the Korean Ministry of Health. Well, the edited (cleaned up) version was recently uploaded and it’s basically the same song. The only thing that changed was the line “Under My Skin” to “Under My Sky.” The change just made it Engrish-friendly… what was the point in changing Skin to Sky? How did they get something that was harmful to the youth from “Under My Skin?” There’s been a lot more provocative and explicit language used in KPOP music before, but why the sudden banning of songs now? I can see how someone could misinterpret Rain’s music that was banned, but not this.